June 30th, A free evening screening of the Disney feature ‘Planes’! 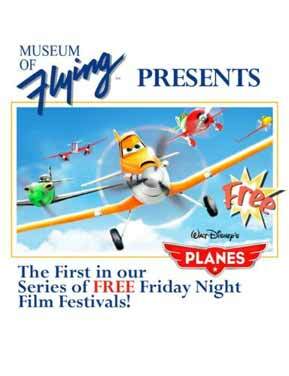 Join us at the Museum for a free evening screening of the animated Disney feature ‘Planes’. The doors open at 6:30 pm and the screening starts at 7:00pm. Please bring chairs and or blankets as the Museum will not be providing seating. FREE popcorn!! Water and soft drinks will be available for purchase. *Please note that the rest of the Museum will NOT be open to visitors.